Lifetime is starting the new year off with a serious bang by premiering its best movie of 2018 on Jan. 6. 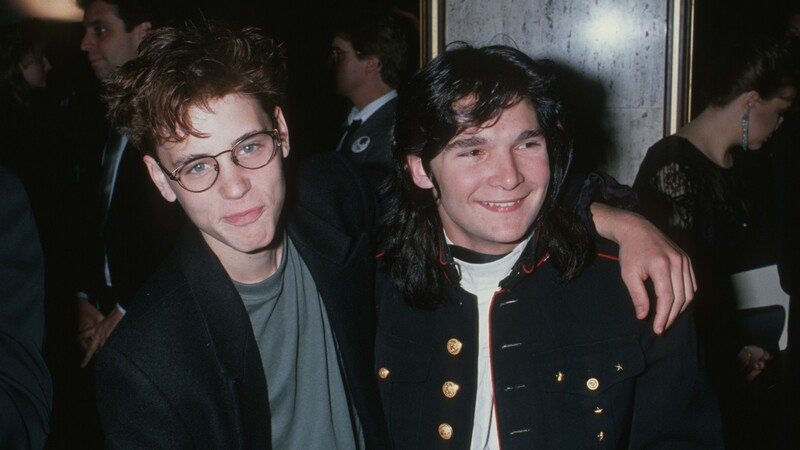 A Tale of Two Coreys will tell the story of Corey Feldman and Corey Haim and their meteoric, side-by-side rise to fame, and we seriously cannot wait. Need some proof that it’s going to be the year’s best film? Feast your eyes on the trailer, which just dropped. That is some drama, fam. And the movie is not shying away from the well-known fact that Haim was molested as a child actor, something Feldman has made a life’s mission of getting out there. Feldman told Entertainment Tonight that he was on board with telling his and Haim’s story, but only if the truth was told from Haim’s perspective, since Haim, who died eight years ago, isn’t here to make sure his story is told truthfully for himself. He also said the story stays true to life because the true story is so packed with drama, there was no need to add any more. Consider our calendars marked for Jan. 6.